Seattle-based Windermere Real Estate has just appointed Brooks Burton, the former EVP and COO of Ohio-based HER Realtors, as its first COO. 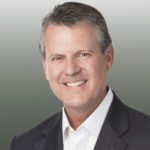 The new position has been created to allow Windermere CEO Geoff Wood and his co-presidents to focus less on day-to-day operations and more on company engagement and growth. As COO, Burton will be responsible for driving company growth while overseeing the operational aspects of Windermere, including marketing, technology, professional development, legal and economics. He will also work closely with Windermere’s regional leaders on franchise growth and the support of existing Windermere franchise owners. “Brooks will help us create an even more cohesive environment that provides our franchise owners and agents with everything they need to deliver a consistent Windermere experience to the buyers and sellers who entrust us with their business,” Wood said in a statement. Burton’s foray into the real estate business started in 2007 when he joined HER, but he comes from a family of real estate professionals. “Growing up, my parents owned a small brokerage in Kentucky, and while I did not start my career in real estate, I’ve been around residential real estate since I was a kid,” Burton said. Windermere is ranked the largest regional real estate company in the western U.S. with over 300 offices and 6,000 agents in 10 states including Washington, Arizona, California, Nevada and Colorado as well as Mexico. Last year it closed over 85,000 home sales for more than $33.2 billion sales volume. “We still like to think of Windermere as a small, family-run business, but the reality is that we are now a 300-office, 10-state company, and growing,” said Wood. Wood, along with his wife and co-president, Jill Jacobi Wood; and his brother-in-law and co-president, OB Jacobi, runs the company that was founded by John Jacobi in 1972.